The Quiet Crisis in America, Part I: A lack of savings makes the last years a miserable time for many. Millions of Americans are having or will be having a terrible retirement. Their lives are now or will be a shipwreck. They virtually live from Social Security check to Social Security check. “Just under a third of non-retired U.S. households reported having no retirement savings or pensions including just under 20 percent of households ages 55-64,” according to Melody Juge, president of the Life Income Management, an advisory firm in Southfield, Michigan. These peoples’ only source of income is Social Security, a now poorly designed government retirement program that was created some 80 years ago. However, Social Security was only intended to be a small part of one’s retirement income. It was one leg of what most financial advisers call “a three leg stool,” a stool that included pensions and private savings. Over the last few generations many Americans were not as thrifty as their parents and grandparents. Indeed, our grandparents tended to have personal savings rates percentages in the high teens or sometimes in the twenties. By contrast, my generation, the baby boomers—those born between 1946 and 1964—have had quarters in which the personal saving rate was actually negative. That meant Americans in some three-month periods people of my generation spent more than they saved; they used savings to finance consumption. (I saw an illustration of this some twenty years ago. A friend broke into her qualified retirement plan. That triggered needless penalties, investment taxes and interrupted the account’s compounding process. The latter represented a chance to accumulate a substantial asset over the years provided one let the saving buildup continue. This self-destructive act was so she could buy a car. It was a car that was not a necessity, but really an expensive plaything! I don’t exaggerate. Try paying the upkeep on a car in New York City, the mother of all money pits). Recently, American savings rates on a long-term historic basis have crashed. Traditional pensions, also known as defined benefit programs, have become about as common as a media shy pol who veers away from campaign contributions. So pensions are a smaller and smaller part of the American workplace. They have been replaced over the past thirty years or so by defined contribution plans, such as 401(k)s.
This happened in part because tax policies rewarded employers for moving to defined contribution plans. These savings vehicles gave responsible employees the ability to take control of their retirement planning. But over the past few decades many Americans were unwilling or incapable of using the defined contribution plan. They either contributed too little or nothing to these savings plans. So today many of my contemporaries enter their 50s and sometimes 60s with no retirement assets and no savings. They might have to work forever. That’s provided they can continue to find a job. And that’s no sure thing as one ages. Our government, which has collected higher and higher payroll taxes over the years to pay for Social Security programs, is aware of this retirement savings problem. The Social Security administration says 51 percent of the workforce has no private pensions and 34 percent has no savings set aside for retirement. The retirement years of these people will be anything but golden. It’s also a problem here in New York. 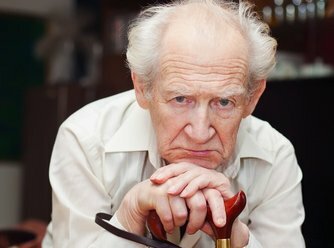 “In New York, about 30% of the 65+ depend solely on Social Security for their income, nationally there’s a slight increase to 32% of older Americans relying on the benefit as their only source of income,” says David Irwin, a spokesman for the American Association for Retired Persons (AARP). Before making any suggestions on how to solve or at least lessen this problem, I’d like to point out a historical irony. Social Security, one of the foundation programs of the American welfare state, and almost every Western welfare state, was designed to end elderly poverty. Yet, as many enter old age, it has sucked many of my generation into a false security that leads to old-age poverty or at least a decline in one’s standard of living. No need to save because the government will take care of you. This is a sentiment that would have been rejected by most of my grandparents’ and parents’ generation. That’s because many of them were skeptical of what happened when governments took their money and made vague promises about the future. Some more irony: People pay Social Security taxes throughout their working lives. Then in a kind of double taxation, when they finally start collecting their payments, they pay taxes on their Social Security payments unless they are very poor. There were no taxes on Social Security payments until the 1980s. There is also talk today, given the system’s deficits—more people now collecting than paying in—that the system will someday be means tested: those with substantial private assets will be penalized by having their Social Security payments reduced. But Social Security is more than a badly designed retirement plan. Its acceptance by both major parties and most of society in the 1940s and 1950s, I believe, represented a sea change in American society. Many Americans no longer wanted to take care of themselves—-to have their own private assets that they, not the government, controlled—they wanted the government to take care of them forever through programs such as Social Security. And it, along with other additional government welfare, tax and spending policies, led to a cultural change in American society. Saving became passe. The ever expanding government would take care of us so why save? Over sixty years of so Americans went from leading the world in saving to bringing up the rear in personal savings among major industrial nations. All this was going on at the same time that welfare programs such as Social Security became big and bigger. Anyone who wants to explore this issue further is referred to works such as “Social Insecurity” by Dorcas Hardy, a former Social Security Commissioner, “The Big Lie,” by A. Haeworth Robertson, a former actuary of the Social Security administration and my small history of Social Security, “The Revolution of 1935,” which can be found at Mises.org. I think I have made a case here that many Americans approaching or in retirement have a problem. It is much easier to identify than solve problems that have built up over generations. I don’t have all the solutions. Still, I will have a few suggestions for this difficult issue in my next segment. Please once again visit my blog at GregoryBresiger.com.